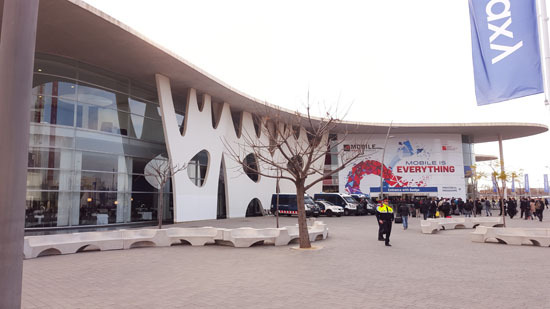 I have been threatening for ages to write-up some thoughts on Mobile World Congress, but at this stage I am writing less than I originally planed, and much later than originally planed! However, it is better late than never! 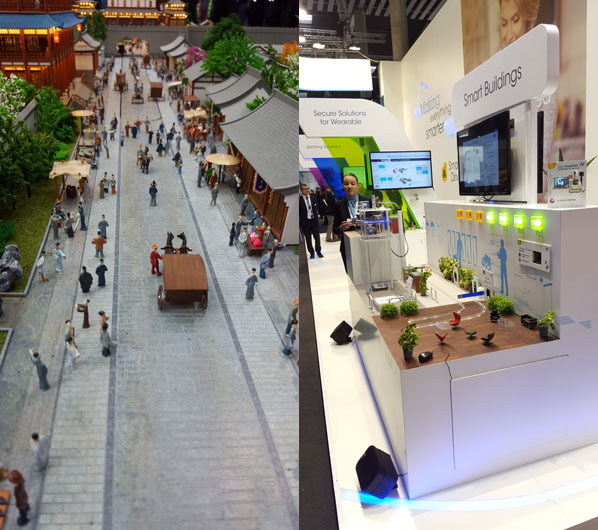 Virtual Reality: This was probably the biggest new area, and there were many impressive demonstrations! Wearables: Nothing here really impressed me! Connected Vehicles: Every large stand had some sort of vehicle present, although very few actually needed them present! 5G: There was very little about 5G, which was a surprise to me! Perhaps the show has peaked in technical terms, and it is becoming more focused on consumer products! I did not see a single booth babe! I think that there were less local university students than in previous years promoting products that they did not understand! Local model makers probably did good business! I live tweeted photos and thoughts during the event, and you can view these on my Twitter feed. I recently heard about SamKnows in the context of it being available in Ireland! In summary, it is a free to participate in scheme which involves plugging a box into your ISP’s internet connection in order to measure actual speeds! You can then compare these actual speeds to the advertised speeds in order to determine the difference. It seems that the Dutch telecommunications regulator is going to allow network agnostic SIMs according to Holland says yes to the network-agnostic SIM card. I think that is a great move, and it is really going to allow OTT players to get creative! 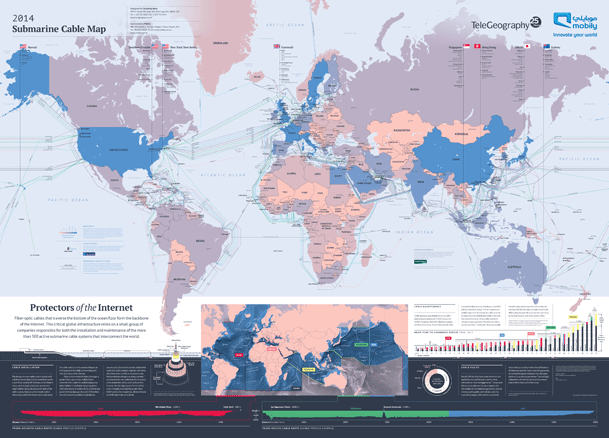 This interactive Submarine Cable Map is very interesting (static version shown below)! You can read more about it in Submarine Cable Map. … we need a different and very political discussion about delivering a telecoms single market. I want you to be able to go back to your constituents and say that you were able to end mobile roaming costs. It is my belief that we can deliver such a package – this full, final, package – around Easter 2014. Imagine that. So, if you believe in the single market; if you believe in a strong Europe that makes a practical difference to each citizen’s life – then Believe. In. This. The full text is available in Speech: The politics of the completing the telecoms single market, and you can watch it being delivered in I will fight with my last breath”: why we need a telecoms single market. I have believed in a single telecoms market within the EU for a long time Ms. Kroes! Indeed, I do not know why it did not happen a long time ago! It seems ridiculous to me that I am charged different amounts for the same service depending on where I am located within a single market! Wow – it has been a while since I blogged! I guess that I have been busy! Anyway, I read with interest that Eircom has done a deal with Amazon whereby the former with resell the latter’s cloud computing services. For more details see Eircom signs cloud services deal with AWS. There was an article in the media during the week describing how people are charged more for sending SMS messages in Ireland containing accents. See Texters charged for the síneadh fada. Personally, I do not see the problem here! If you are sending characters that are outside of the normal character set then you should expect to fit less characters per SMS message (or else pay more for more SMS messages)! I had the opportunity to discuss this with some Spanish, Polish, and Italian friends yesterday. Some of them said that they get charged more for using accents on their home networks, and others did not know. More interestingly, none of them use accents when sending SMS messages either because it is too slow or akward to find the character, or because it is never needed to understand the message. It was also pointed out to me that this is the same in English, for example, where people use “u” instead of “you”. Imagine a world where a single company buys radio spectrum licenses, and then rolls-out infrastructure, to create a radio access network (RAN). Imagine that this company then sells this service to mobile phone network operators, who can use it with no capital costs! I call this concept RAN-as-a-Service (RaaS)! It seems that this idea is becoming more of a reality! Vodafone and Telefónica/O2 are sharing radio resources in the UK according to Vodafone and O2 deal could save around £100m per year, and Vodafone and Three are following suit in Ireland according to Vodafone and 3 in Irish network sharing deal. Remember – you read about RaaS here first! AT&T‘s CEO envisages that that mobile phone plans could be data-only within the next 24 months! For more details see Cellphone Plans Could Be Data-Only in 2 Years, Says AT&T CEO [VIDEO] and AT&T CEO Calls Data-Only Smartphone Plans ‘Inevitable’. This makes sense to me! I do not see why voice services cannot become services that you obtain using an app on your mobile device – just like any other service! Telefónica has launched a new mobile app that allows free calls and messages to other users! The app is TU Me (I do not “get” the name), and it is described in Introducing TU Me: the free all-in-one communications app from Telefónica. It is an interesting move, because it would appear to be an over-the-top app launched by a mobile network operator!